London is a breeding ground for disruptive, world-dominating start-ups and entrepreneurial talent. What makes it such fertile ground for businesses? Well, a lot of it comes down to the high levels of support on offer. 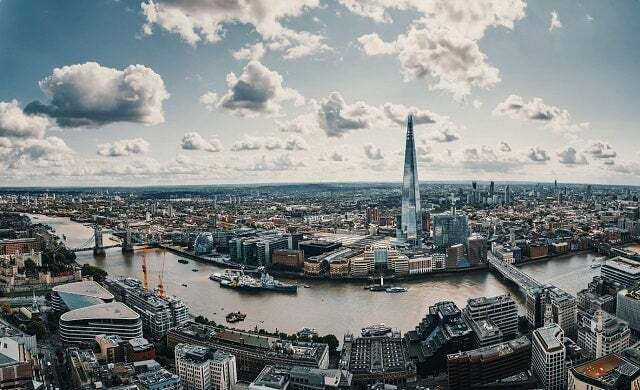 Organisations like London & Partners, which has been offering tailored strategic support for businesses looking to grow in the capital since 2011. If you have fewer than 250 employees, turnover below £40m, and are looking to grow within London, the Business Growth Programme can offer up to £5,000 worth of specialist support and impartial advice. You’ll also receive a dedicated business growth advisor, local business support, and access to focused workshops and events in London. To date, 215 companies have been through the programme, helping to create more than 90 jobs, and bring 30 disruptive new products to market. Even if you don’t realise it, AI is more-and-more becoming part of your daily experience. And companies like Botandus are at the forefront making robots that “seamlessly integrate into day-to-day life”. 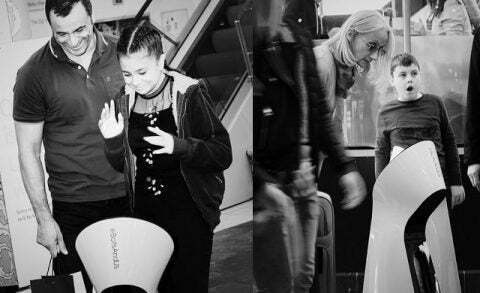 The start-up combines social sciences with human-centred design and cutting-edge engineering to create human-robot-interaction technology, which it places into our daily environments. Bo is the first iteration of this, an autonomous customer service assistant that can be used in retail, events, hospitality, travel and real estate environments. Consisting of a person detection system, an HD camera and touch screen, it can welcome and interact with customers, and help them to navigate and find products or areas. Why did you decide to apply to the Business Growth Programme? What opportunities did you access through the programme? How have you grown since going through the programme? What would you say to another business thinking of applying? Formed in 2010, Something & Son is a collaborative and activist led collective working across art, design, and architecture, creating diverse and socially environmentally driven work. This work tours galleries and art festivals, and engages in real-life public projects in abandoned buildings or on the street. Examples of its work are FARM:shop, which inspired urban farming across the world; and Makerversity, which provides low cost space and tools to its community of 300 makers . It’s also helped design a distributed honey factory that trains 150 new young beekeepers each year. “I started at Something & Son in February 2018 and had two female-led start-ups to underpin and thought the programme would provide good networks and insights into entrepreneurial behaviours. “I came from a background of charitable businesses with agile approaches to social change. The programme showed me that my business growth and fundraising skills were easily transferable but also that I needed to tweak my approach for the social enterprises we are developing. Also, Tracey was able to move from PM pre-start-up to Co-founder. “What are your growth plans for the next 12 months? To develop an investment package of at least £250,000 to underpin these new businesses and the wider groups of Something & Son co-founded projects e.g. Markerversity and Mission Kitchen. Over a third of all food we produce gets wasted before it’s even left the farm, because it’s wonky, malformed or discoloured, despite the fact that it’s perfectly edible. A shameful waste. 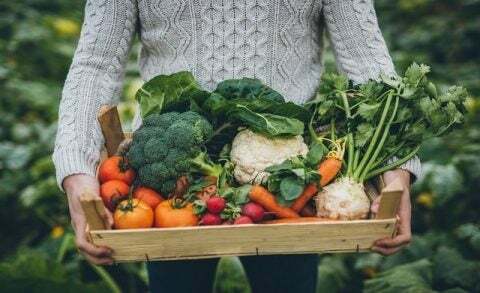 Oddbox’s solution is to take all this surplus wonky produce and bring it straight to consumer’s doors for around 30% cheaper than the supermarket. It also donates up to 10% of its produce to local charities to help fight food poverty. “We heard about London & Partners from several other founders who mentioned the different programmes they were running and the huge drive from the Mayor’s office towards supporting start-ups. “We then got in touch with them and talked us through the programme and we knew it would be extremely valuable and a great opportunity for now and for the future. “Partnerships are so valuable and London & Partners work with several different partners which we can get access to. We also got access to mentors for any follow-up queries and guidance. “Beyond the workshops, what is so valuable is to be part of the BGP community and be able to collaborate and get advice from other start-ups at different stages of growth and as an alumni, we continue to receive support from the programme which isn’t always the case for other programmes. “During the time of the programme, we raised our initial seed round which enabled us to expand our geographic coverage, increase our operations and grow our team from six to nine people. “Our customer base is up by 37% compared to last quarter and we expanded to part of West and East London. “We have an ambitious plan for 2019 to expand to the rest of London and triple our customer base. We then want to expand to tier two cities and evaluate the opportunity to replicate Oddbox in mainland Europe. “We were delighted to be accepted on the programme, have greatly benefited from the three months support and continue to appreciate the benefit of being part of the alumni community. “We would encourage any business to apply and make the most of the programme. Mental health and wellbeing are very much top of the agenda at the moment, especially among young people. And social media has had a part to play, contributing to rising levels of depression and anxiety. But it also has the power to do good. MeeTwo is the app helping teenagers talk about difficult things. The user posts a message. A moderator checks all posts and replies. If the replies are unhelpful, they are rejected. If they are supportive, they are accepted. It also features in-app links to charities and helplines. Find out more about the Business Growth Programme and its successes and apply to the programme here.